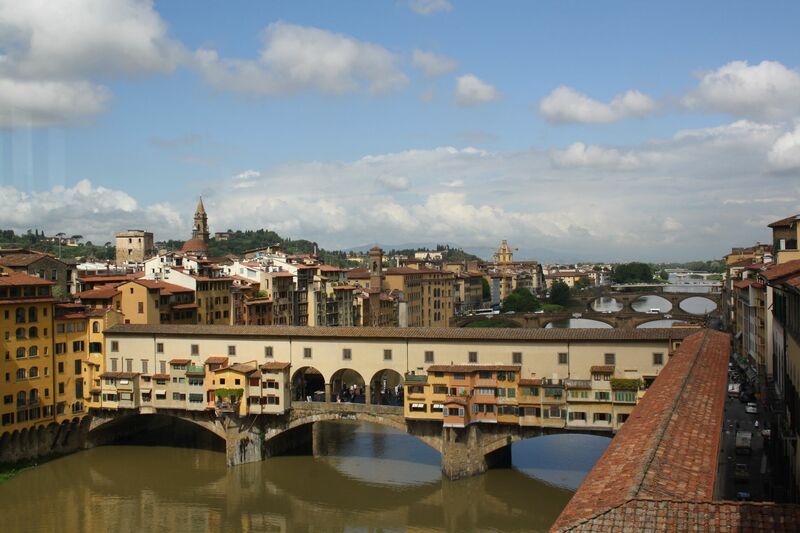 There are seven bridges over the River Arno in the central area of Florence, of which only one (The Ponte Vecchio) is an original old structure, the remainder of the old bridges having been destroyed by the retreating German army at the end of World War 2. 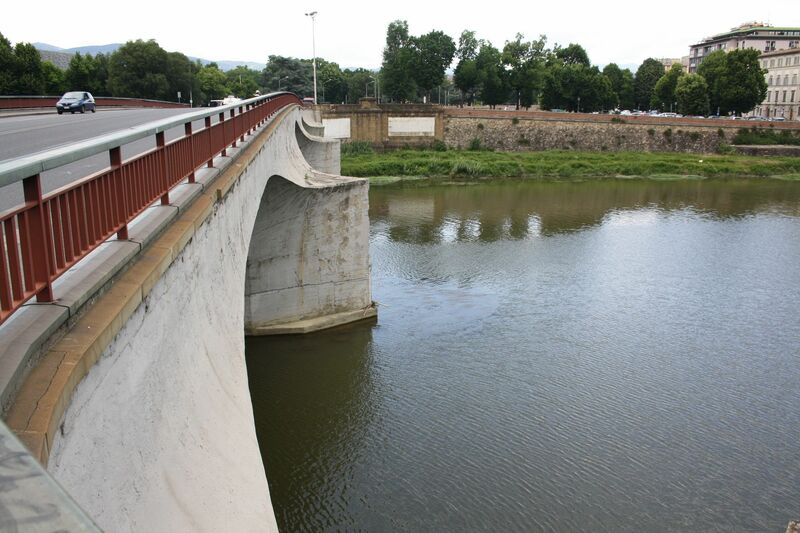 Of the new bridges, 2 are replicas of the original structure and 4 are of new design, but all are of interest. 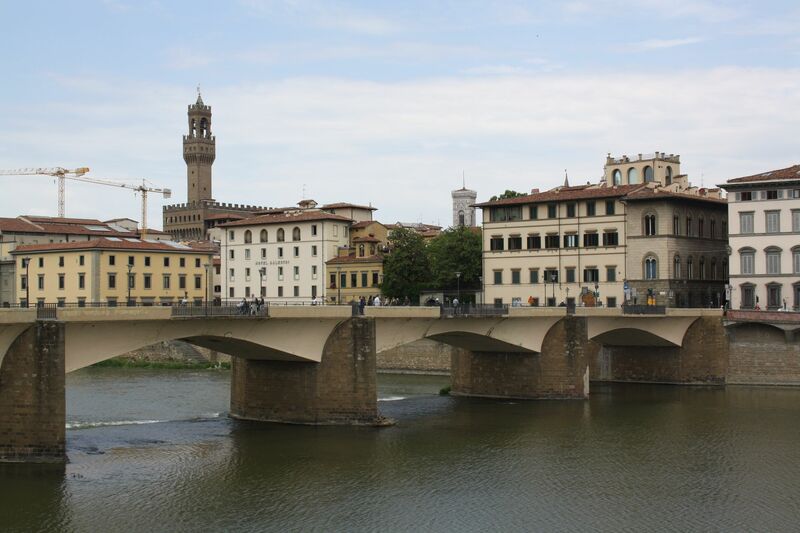 5 bridges over the Arno, looking downstream with the Ponte Vecchio in the foreground. 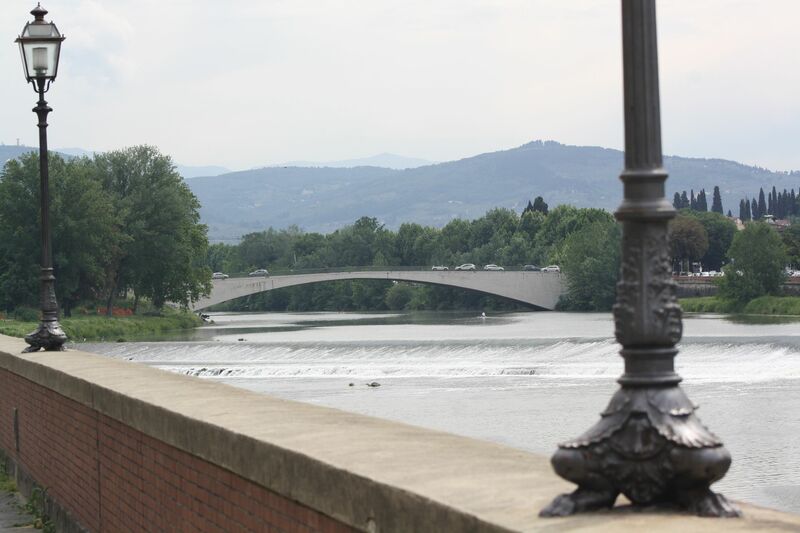 The Ponte di San Niccolo is an elegant single span designed by Riccardo Morandi and constructed between 1947 and 1949. 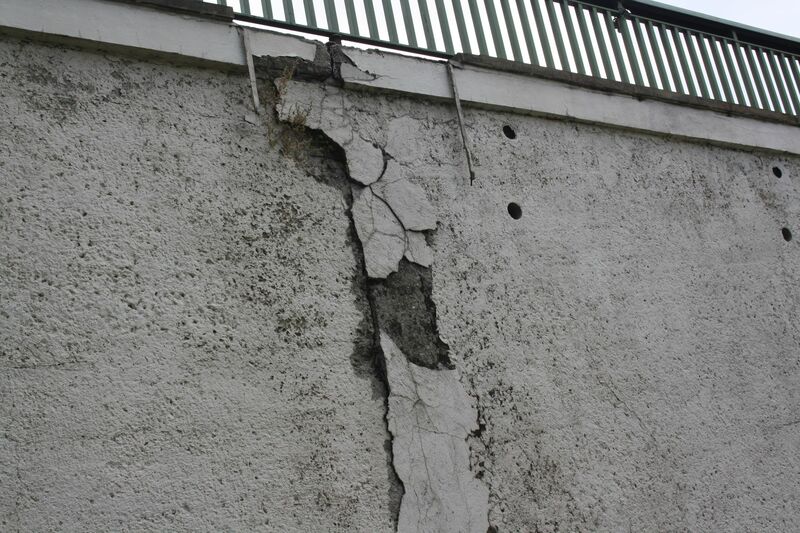 It replaced a steel suspension bridge built between 1836 and 1837. 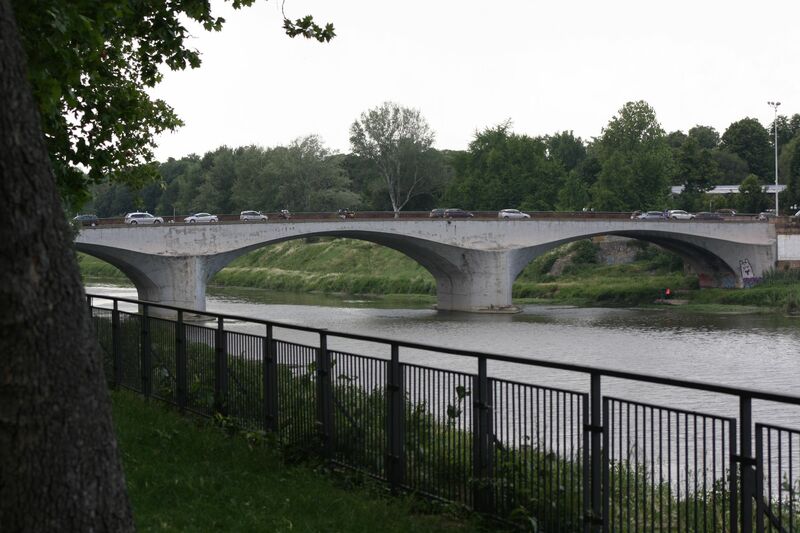 The design of this bridge was subject to a competition, with some controversy about the use of reinforced concrete rather than traditional materials, described (in Italian) at: Ponte alla Grazie. 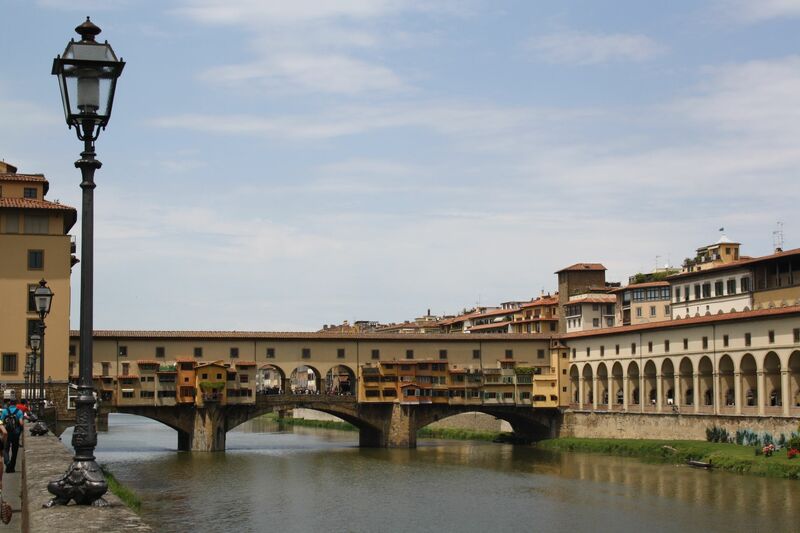 The two new bridges downstream of the Ponte Vecchio are both replicas of the original structures at their sites. 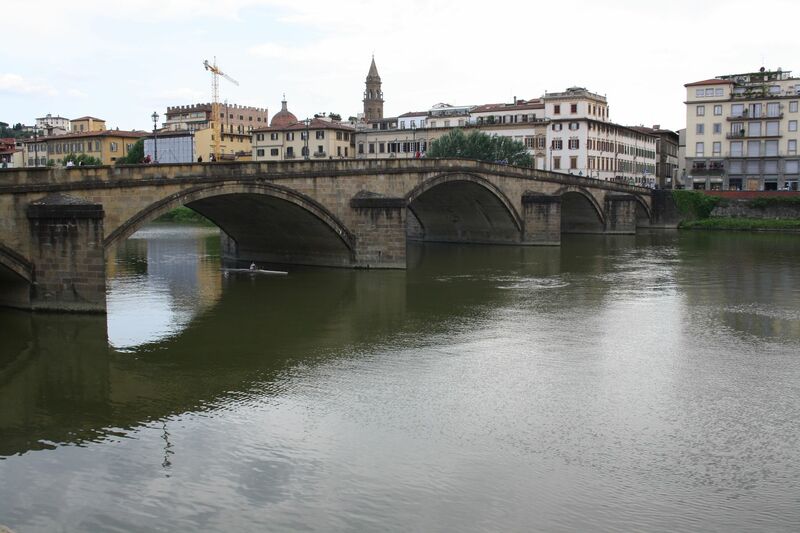 The Ponte Santa Trinita is described in the Wikipedia article as the oldest elliptic arch bridge in the world, the previous bridge having been constructed in 1567 to 1569, replacing bridges built in 1252, 1333, both of which were destroyed by floods. 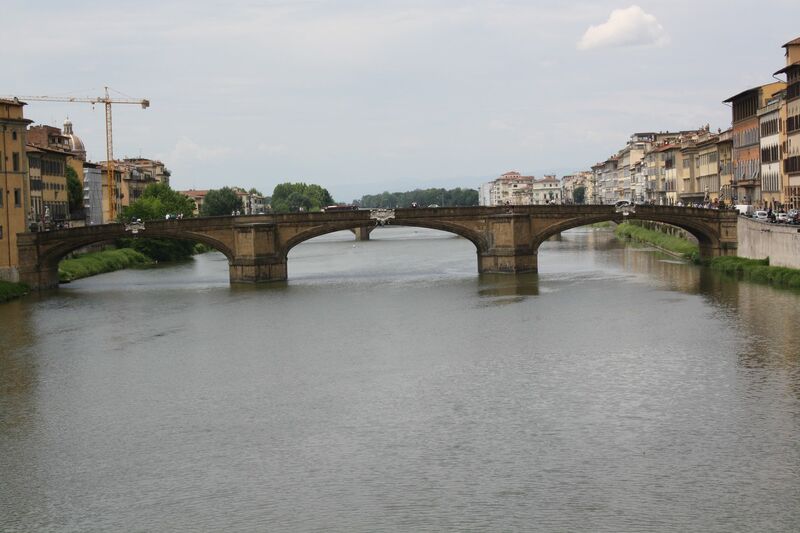 The Ponte alla Carraia is a 5 span segmental arch bridge completed in 1948. 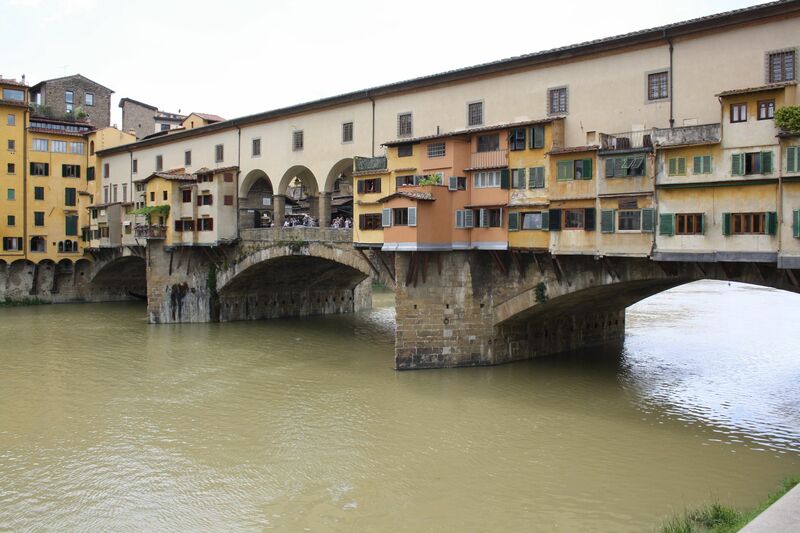 Finally the sole remaining old bridge structure is the famous Ponte Vecchio. 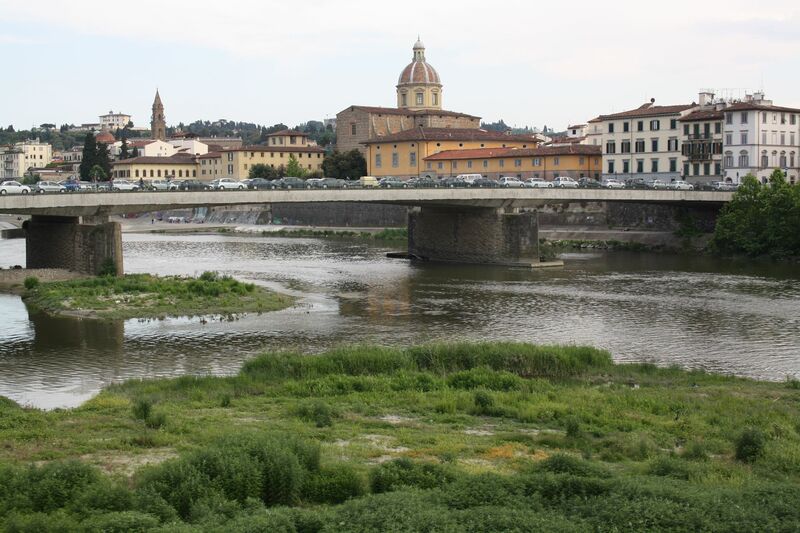 Known more for the gold shops that still line the bridge than for any structural innovation, it is nonetheless an early example of a flat segmental arch construction, having been completed in 1345 with a maximum span of 30 m and rise of 4.4 m.
This entry was posted in Arch structures, Historic Bridges, Newton and tagged Arch bridges, Florence, Ponte alla Carraia, Ponte Alla Vittoria, Ponte alle Grazie, Ponte Amerigo Vespucci, Ponte di San Niccolò, Ponte Santa Trinita, Ponte Vecchio. Bookmark the permalink. Thanks Bill. 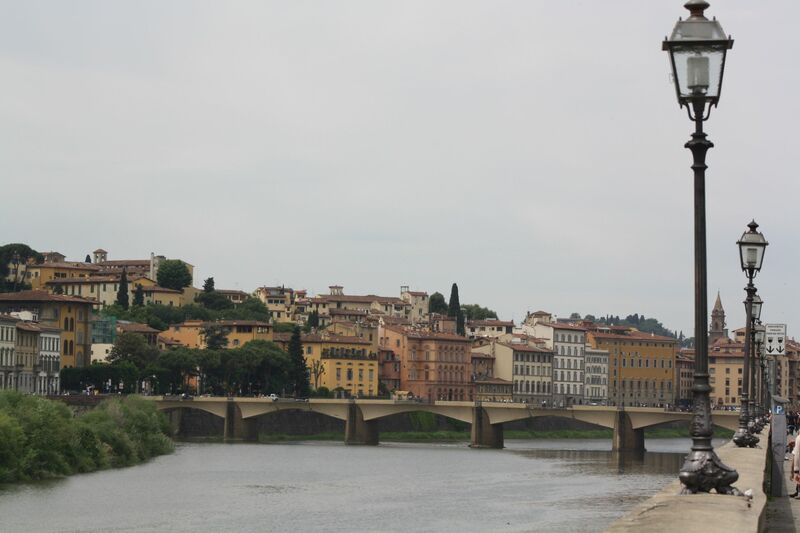 The undercut shape also features on some of the bridges over the Tiber that will be featured here in the next week of so. It will be interesting to see how the dates of the Italian examples compare with Perronet’s work.